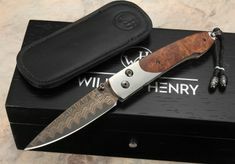 The William Henry B10 Lancet Knives are upscale knives with nonetheless fantastic craftsmanship. 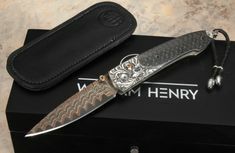 There are a wide range of products included in this series, from the simpler Vanguard to the more elaborate Island Wave limited edition. 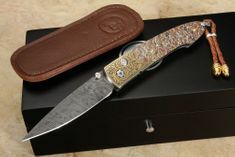 The knives are a little bit more than six inches long, with blades that are only a little more than 2.5 inches in length. 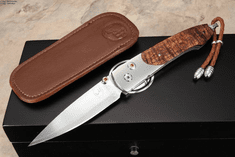 The knife has a hollow ground bladea and utilizes a button locking mechanism. 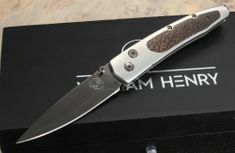 The WH Lancet makes a great choice for an gents knife, perfect to carry in both office and field environments.